Electric car sales are increasing, even as car sales overall are decreasing. 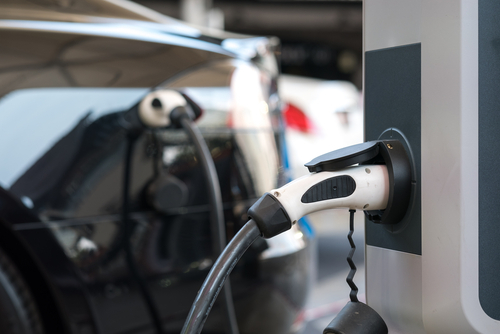 With a new focus on being environmentally friendly, and the increase in visibility of public and workplace charging points, more people are opting for electric cars. Here at Walker Electrical, we are electrical experts, and we are proud to offer our clients the option of installing electric car charging points. But what exactly are the different charging speeds? And which should a commercial business choose to install? As a result, we have produced this guide to company charging points for electric cars. At up to 3kw this is the slowest charging option available for electric cars, and is also the most common. A full charge using slow charging takes between 6 and 8 hours, and as a result, this is most commonly installed in the home. When it comes to installing a slow charging unit at home, a fully qualified and professional electrician should first implement a house survey, to make sure that the existing electricals in the home can withstand such a ling charging period. Although these were first installed for public use, they are now being replaced with faster charging points. As you can tell, an 8 hour slow charging point is probably not effective for most companies or businesses to install. Faster than slow charging, this type of charging doubles the amount of kilowatts used to charge and reduces charging time to 3-4 hours. As a result, many commercial and public electric car chargers are fast charging. 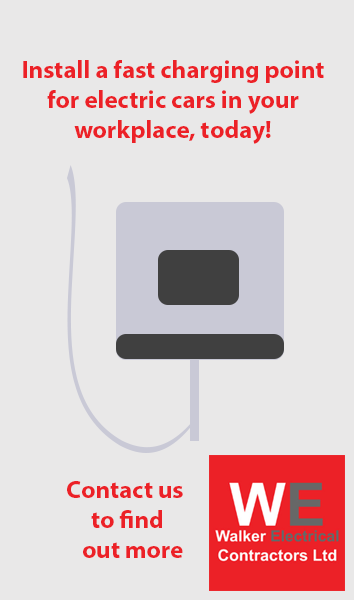 If you want to install an electric car charging station in your workplace for employee use, a fast charging unit will be ideal, as employees can charge up their vehicles while they work. Either of these take around half an hour to charge an electric car or vehicle, with the only difference being the type of current out-putted, and the connector necessary. If you are looking to install an electric car charging point in your commercial work place, contact us at Walker Electrical today.